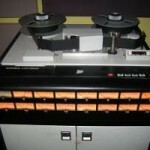 Tags: Analog recording technology, Kick drum recording and mixing techniques. I believe that the biggest factor preventing you from being successful in recording are not the technical skills and talents but the lack of innovation and experimentation. We only think of standards, best industry practices and imitate what pros are doing and buying for their studio. Yet we forgot the most important aspect of success – Innovation, creativity and originality. In the recording studio and music production, it’s important you have these qualities. It’s highly essential in getting the best sound out of your projects. To get you more inspired, let me tell you some about the three greatest innovations in music production I remember which are discovered by experimentation and even as an accident. If you have listened to Phil Collins “In the Air Tonight” from 80’s; you would be amazed at how unique the drum sound was. In fact, the gated drum reverb style was a product of accidental experimentation in the studio. This technique was discovered using a reverse talk back, a technique used by engineers to listen to the musicians in the live room. Take note the control room and the recording/live rooms are isolated, so there is method for them to communicate and it is called talk back feature on the mixing console. While they pressed reverse talk back, Phil Collins played the drums on the live room and the engineers are surprised about the resulting sound of the drums from the talk back. Later they improve this and finally incorporate this production technique on recording drums for Phil Collins album and the Genesis band. 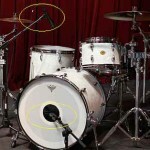 With the release of Phil Collins albums and the success of their singles, the gated reverb drum technique becomes well known as a signature sound. Later it has been adopted by a lot of artists and engineers in the 80’s new wave phenomenon. Lesson: To produce a signature sound for your artist or for your album, do not afraid to go against industry recording practices; think outside the box and experiment. Sometimes great sound comes from this. If it sounds great, stick to it and love it. It would become your signature sound that people and fans would remember and even follow. First, the engineer would be recording the guitar tracks clean and without any effects. 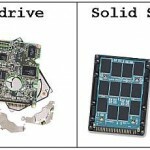 It is bounced to a hard disk drive for a digital recording using any DAW. Second, the producer/engineer would route the recorded clean guitar tracks back out of the computer and into the analog world with guitar effects processor applied on the signal chain (such as ZOOM).